There are strong indications that former President John Evans Atta Mills choked on his own blood after suffering a rupture of a major blood vessel when there was nobody by his side to render a helping hand or even engage medical assistance when the danger signs were manifesting. A post-mortem report DAILY GUIDE chanced upon has revealed that the remote cause of death, which has been in the public domain for a long time yet disputed by the deceased’s handlers, is throat cancer. The immediate cause of death however has been attributed to the choking resulting from the ruptured blood vessel. The cancerous growth, according to the report, metastasized or spread to his sinuses, that is the cavity of the nasal passage, which perhaps accounted for his altered voice in his last days. The inflammation or diseasing of this part of the body is referred to as sinusitis. It would be recalled that the deceased, in the heat of questions about his health when he sought treatment in a South African hospital, said he was suffering from sinusitis. The autopsy report explained that the tumor or growth ruptured his carotid artery, a major blood vessel so he bled profusely and with no assistance at the time, he suffocated, which was what was referred to by those who set eyes on him when he was brought to the military hospital on that fateful day. The loss of blood from his nostrils led those agitating for a post-mortem to suspect poisoning because in their estimation, bleeding was consistent with the symptoms of poisoning, especially when the deceased had said for the umpteenth time that he was not sick. The report also showed that the late president died before reaching the military hospital some two hours earlier, a revelation which further throws a question about the veracity of previous reports of whether he died at the hospital or at the Castle. The report has provided more grounds for those agitating for a post-mortem to proceed with their demands, especially since the autopsy shows that there are still gray areas in the management of the late president’s situation. Why was the deceased left unattended to when it was obvious that he was suffering from a terminal ailment and so could not be left alone without attention? At the time that he was struggling to breathe because of the blood getting in the way of his air passage, someone in attendance could have raised the alarm for an expert attention to be sought immediately. The report brings to the fore, once more, the inconsistencies regarding where the late president died. While some claim he died at the Castle, others want us to believe that he passed away upon reaching the military hospital at 2:15pm on Tuesday, July 24, 2012. The post-mortem, as gleaned by DAILY GUIDE, rather than settling the issue of the cause of death of the former president, is likely to raise other issues, especially since the government has kept quiet on it, rather referring it to the family. The position taken by government is seen as hypocritical, especially when it has told the family that the departed president was a state asset since he died in office. The Alliance for Accountable Governance (AFAG), a pro-New Patriotic Party advocacy body, in a statement on the subject, demanded that an autopsy be carried out to settle the challenge once and for all. AFAG noted that government had so far been reluctant in providing any information on the cause of the death of the late president. The Chairman of the Funeral Planning Committee, Kofi Totobi-Quakyi, AFAG pointed out, “ has stated that a coroner’s inquest was not necessary in the case of the death of President Mills because he died at the 37 Military Hospital and in the competent hands of doctors”, a remark which is inconsistent with the post-mortem DAILY GUIDE has sighted. Although the chairman’s position was that the matter was a private one limited to the family of the deceased, AFAG stated, “we respectfully disagree with it. This view goes contrary to the state of the country’s law, which makes it mandatory for a coroner to look into the death of a person who dies not in a hospital or within 24 hours of being brought to a hospital. The late President’s death falls within this category”. “The view that the cause of the death of our late President”, AFAG said, “is a serious public interest issue and the public must be told before his burial at the weekend”. The death of the president, it maintained, should not be treated the way it was done, and that Ghanaians should not be treated with disdain. 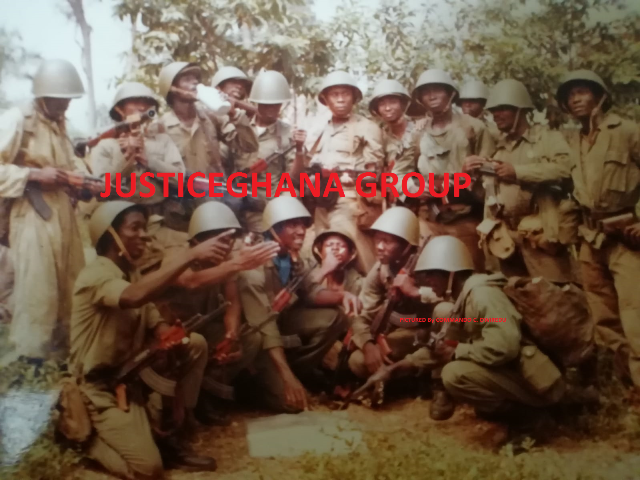 AFAG added that it “will delve and demand answers to the chain of events, acts of commission or omission that led to the death of President Mills.